Steven Rosenthal, 15, died of a self-inflicted gunshot, according to the Cook County Medical Examiner's Office. 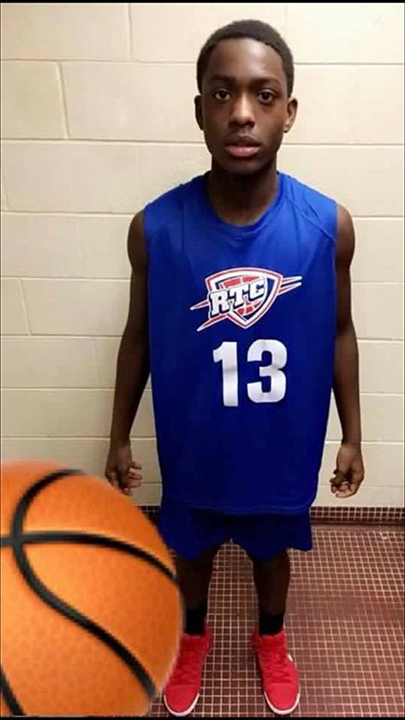 CHICAGO (WLS) -- The family of 15-year-old Chicago boy who authorities say shot himself in the head after a brief police chase believe that police killed the boy. Steven Rosenthal's death on Friday was ruled a suicide, according to the Cook County Medical Examiner's Office. Sunday night, Steven's family and more than 100 people protested outside the 10th Police District in the Lawndale neighborhood to demand police any bodycam video of the incident because they don't believe the police's account of what happened. They chanted, "Who killed Steve? CPD" and then marched to Mount Sinai Hospital demanding that the boy's body be released. They crowded the ER department, but moved when paramedics arrived with a patient. Steven's family said they don't believe the boy was armed. "They need to release the video. My nephew would never commit suicide," his aunt Taranica Thomas Level said Sunday. Family said Steven was a good student at Crane High School where he played football and basketball. Their attorney, Andrew Stroth, also claims there are eyewitnesses who say police shot and killed Steven. Bodycam video does exist, but officials said it will be released when they are sure it won't impact the police investigation. On Friday, Steven was in the 1500-block of South Keeler Avenue in Chicago's Lawndale neighborhood when he was stopped by police. He lived in the area with relatives since the death of both his parents. His mother died just two months ago, family said. Police said that Rosenthal appeared to have a gun. When the officers tried to question him, he ran. Officers pursued him on foot as he ran into an apartment building. Shortly after, officers said they heard a gunshot. Rosenthal sustained a self-inflicted gunshot wound to the head. He was taken to Mt. Sinai Hospital in critical condition, where he died.